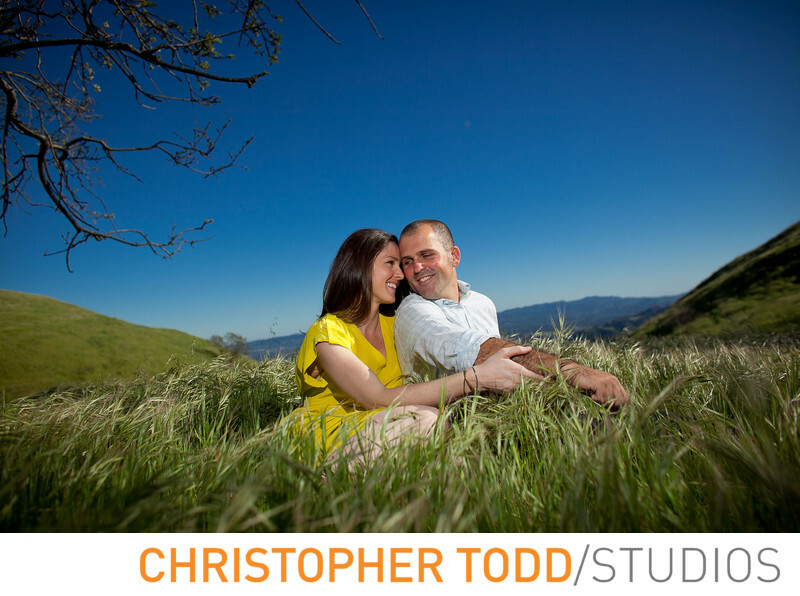 Upper Las Virgenes Canyon is a great outdoor open area for perfect your perfect engagement portrait. In this photo I love how couple is sitting in the tall grass. The big blue sky above them is perfect. Also, her yellow dress adds just the right amount of color to this photo. What Can I do With Our Engagement Portrait? There are many great uses for your photos. I like to suggest to couples to give these photos to parents and grandparents in a frame. An engagement portrait makes a lovely gift. Also, the photo can be used as a guest sign in book on the day of your wedding. Or, you can put the portrait on display at the reception or in your home. Christopher Todd Studios has answers. Get in touch today. We can't wait to hear from you. Location: Las Virgenes Road, Los Angeles, CA 91307. 1/3200; f/3.5; ISO 100; 24.0 mm.